Bee Stings can be painful and produce allergic reactions in some individuals. In some cases, this may be severe and deadly. What are the Causes of Bee Stings? What are the Signs and Symptoms of Bee Stings? 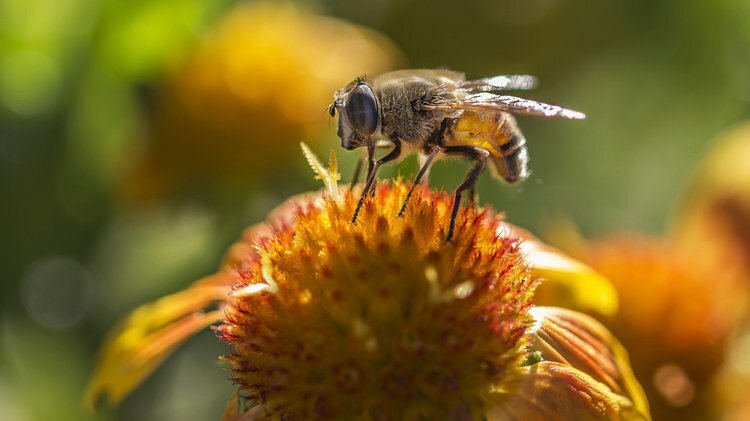 Multiple stings by a swarm of bees may result in severe symptoms, especially in those with certain underlying heart conditions, the elderly adults and young children. In such cases, prompt medical attention is necessary and important. How is First Aid administered for Bee Stings? Who should administer First Aid for Bee Stings? What is the Prognosis of Bee Stings? How can Bee Stings be Prevented? Bilò, M. B. (2011). Anaphylaxis caused by Hymenoptera stings: from epidemiology to treatment. Allergy, 66(s95), 35-37. Hockenhull, J., Elremeli, M., Cherry, M. G., Mahon, J., Lai, M., Darroch, J., ... & Boyle, R. (2012). A systematic review of the clinical effectiveness and cost-effectiveness of Pharmalgen® for the treatment of bee and wasp venom allergy. Health technology assessment (Winchester, England), 16(12), III. Lee, J. A., Son, M. J., Choi, J., Jun, J. H., Kim, J. I., & Lee, M. S. (2014). Bee venom acupuncture for rheumatoid arthritis: a systematic review of randomised clinical trials. BMJ open, 4(11), e006140. Boyle, R. J., Elremeli, M., Hockenhull, J., Cherry, M. G., Bulsara, M. K., Daniels, M., & Oude Elberink, J. N. G. (2012). Venom immunotherapy for preventing allergic reactions to insect stings. The Cochrane Library. Ferreira Jr, R. S., Almeida, R. A. M. D. B., Barraviera, S. R. C. S., & Barraviera, B. (2012). Historical perspective and human consequences of Africanized bee stings in the Americas. Journal of Toxicology and Environmental Health, Part B, 15(2), 97-108. Krause, K., Ardelean, E., Kessler, B., Magerl, M., Metz, M., Siebenhaar, F., ... & Maurer, M. (2010). Antihistamine‐resistant urticaria factitia successfully treated with anti‐immunoglobulin E therapy. Allergy, 65(11), 1494-1495. Ali, M. A. A. S. M. (2012). Studies on bee venom and its medical uses. Int J Adv Res Technol, 1(2), 69-83. Lee, S. M., Lim, J., Lee, J. D., Choi, D. Y., & Lee, S. (2014). Bee venom treatment for refractory postherpetic neuralgia: a case report. The journal of alternative and complementary medicine, 20(3), 212-214.